Israeli authorities are preventing a 70-year-old Palestinian grandmother with ailing health from visiting the grave of her father – who died before she was born – in a Christian cemetery now surrounded by an Israeli military base on the site of a destroyed Palestinian Galilee village. Israeli forces occupied Ma’alul, located not far from Nazareth, in July 1948, expelled its Palestinian residents and destroyed the entire village with the exception of two churches and a mosque. An Israeli air force base was subsequently built around Ma’alul’s Christian cemetery and the displaced residents have been barred by Israeli authorities from visiting their families’ graves ever since. The military has, additionally, desecrated the cemetery. Adalah – The Legal Center for Arab Minority Rights in Israel filed a petition, prepared by Adalah Deputy Director Attorney Sawsan Zaher, to the Israeli Supreme Court on Sunday, 13 January, 2019, on behalf of 70-year-old Salwa Salem Copty and 93-year-old Subhi Mansour. Mansour, who is Salwa’s uncle, is the only living displaced resident of the village who can identify the location of the grave of Copty’s father Fares Salem. Both are Palestinian citizens of Israel. In the petition, filed against the Israeli defense and interior ministries and the Israel Land Authority (ILA), Adalah demands Copty be permitted to visit the cemetery and seeks clarifications regarding: 1) why authorities will not allow Salem Copty and Mansour access to the Christian cemetery in Ma’alul; and 2) why have the Interior Ministry and ILA have not been required to preserve Ma’alul’s Christian cemetery and protect it from desecration or , alternatively, why it is not allowing the petitioners or anyone on their behalf to maintain and protect the cemetery from desecration. This is the first time a case relating to access to a cemetery located inside a military base has been brought to court. 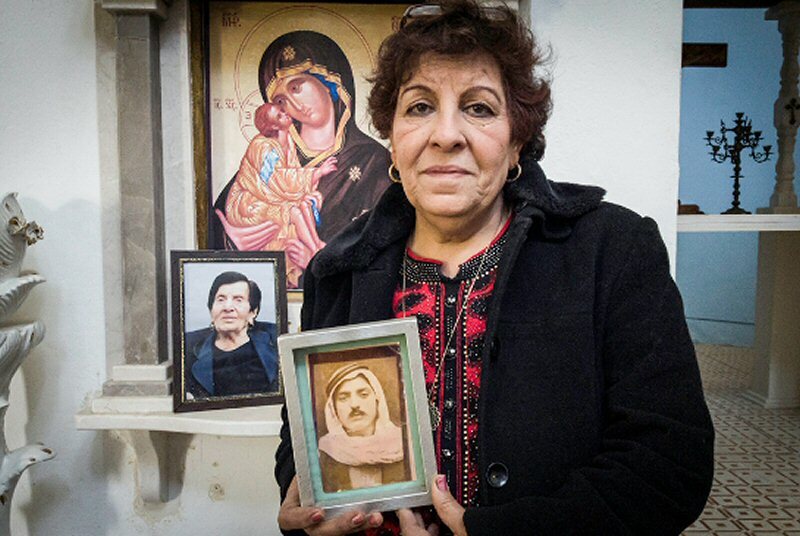 Salwa Salem Copty was born on 31 July 1948, several months after her father, Fares Salem, was shot and killed by Israeli troops in Ma’alul (24 March 1948). Their village was occupied on 15 July 1948 and subsequently destroyed and the remaining family members fled to Nazareth. Copty, who now lives in Kafr Kana, is married and has four children and two grandchildren. Her health is deteriorating; she is confined to a wheelchair following the amputation of her left leg this past summer. Since 2000, Copty has repeatedly sought through formal requests to gain access to the cemetery to visit her family members buried there, but her appeals to various Israeli authorities through multiple channels have gone unhandled. None of the concerned Israeli authorities – including the military – have expressed explicit opposition to Copty’s requests to visit, but all have repeatedly deflected responsibility for the issue and have failed to make any decisions. “I dream about this grave. I’m begging. I want nothing else but to visit my father’s grave before I die and it’s too late,” Copty said. Further, the state’s violation of Copty’s rights is sweeping and disproportionate. There is no legitimate justification for failing to allow her to visit her father’s grave or for the desecration and neglect of the cemetery; likewise, the presence of a military base on the location of the cemetery does not justify a sweeping ban on Copty visiting the graves. Click here to learn more about Salwa’s story.